Interesting post. I think basically what your saying is that if we see an animal with a tail going to the left it’s a Mary Jane cat and if we see an animal with the tail going to the right, it’s a Mary Jane dog. 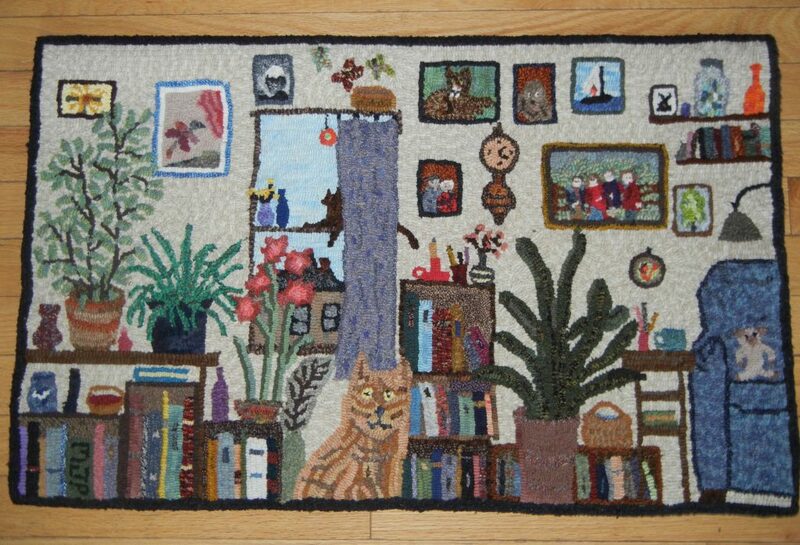 I agree with you with some rugs you can identify the artist immediately. 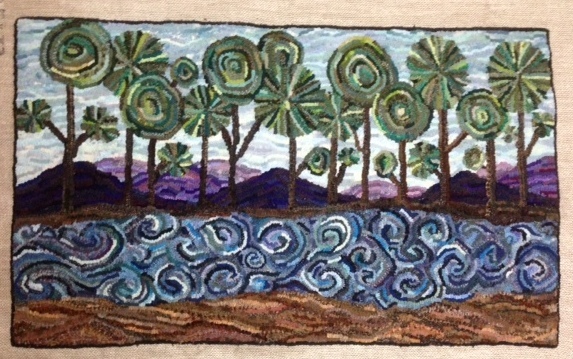 I’m thinking rug artists like Rachelle Leblanc, Jen Lavoie , Ann Cox, Jule Marie. Then there are people like you and me who hook whatever. I’m always trying to stretch, but when I just want to have fun, I start a geometric and sigh with pleasure. My favorite rugs usually have a combination of teal, brown, gold, green and always always orange. I’m so predictable. People tell me they can pick out my rugs from the colors I use. I have not stretched much. 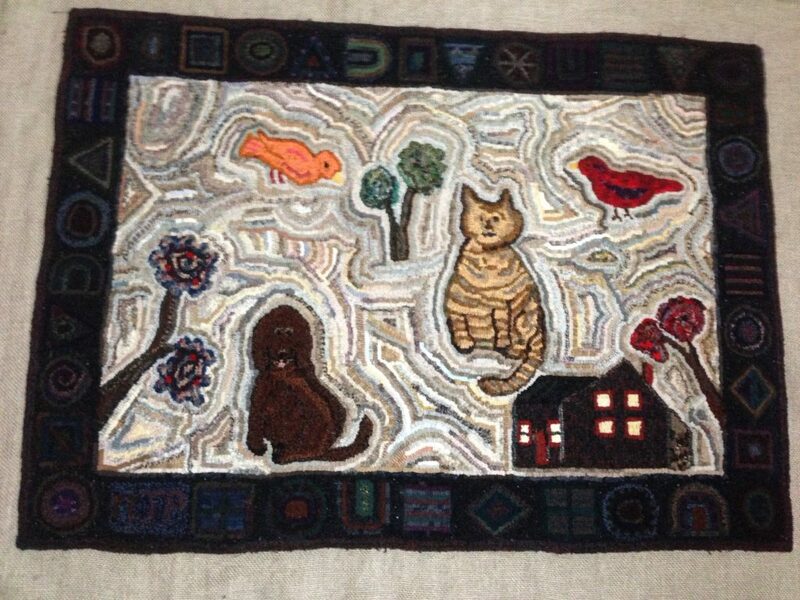 I have very little confidence in my rug hooking so I always feel that each rug has a struggle in it. But I enjoy the process so I keep on keeping on. When I look at my finished rugs I a sometimes like them and sometimes focus on what I should have done differently. Cathy, I never go back and correct what “I should have done.” Ive been hooking fior 15 yrs. and for me it’s all about the doing, not the done. I think human beings have a need to create. Some of us are better than others, but do what makes you happy. The whole “style” idea has been interesting to me. Lately people have been mentioning MY style and I keep thinking that I am just doing whatever I feel like and I think each of my pieces have been quite different. Somehow others have noticed a similarity though. Enjoyed this post!